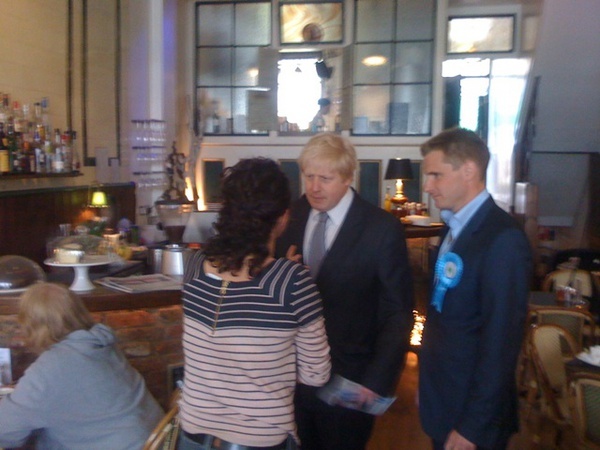 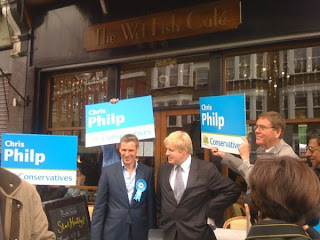 Just three short months after his last visit to West Hampstead, Mayor of London Boris Johnson was back in West Hampstead with a gaggle of local Conservatives around him including of course Chris Philp. Boris wandered up West End Lane, before ducking into The Wet Fish Café much to owner André‘s surprise (although they didn’t buy a coffee). 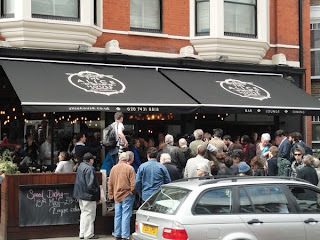 And then made their way over to The Alice House, where various locals, party faithful, journalists and #whampers were waiting. Robert Webb turned up too, but studiously (and sensibly) ignored all the hullabaloo and had a smoothie tucked quietly out of the way. 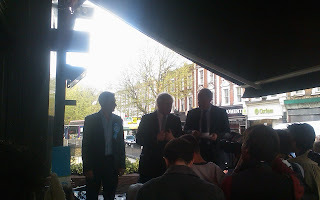 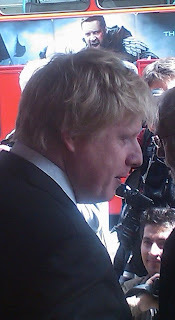 There followed the obligatory entertaining, rabble-rousing speech from Boris about how we had to choose between Conservatives or a hung parliament; how West Hampstead (as opposed to Hampstead & Kilburn) was a “hinge of fate”. “He who holds West Hampstead holds London,” said Boris, hyperbole flowing as usual. 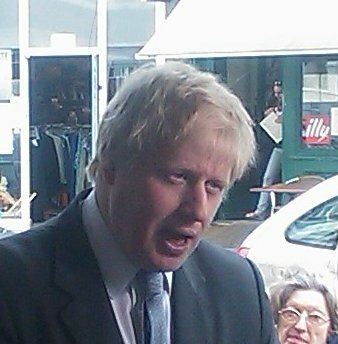 He spoke of the fears of a hung parliament and the potential for Brown and Clegg to be “dickering and bickering”. 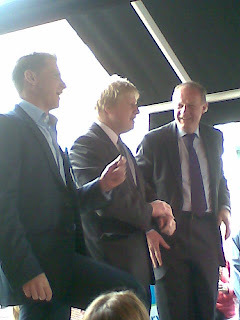 To emphasise each point, Boris seemed to hit Chris in the chest. 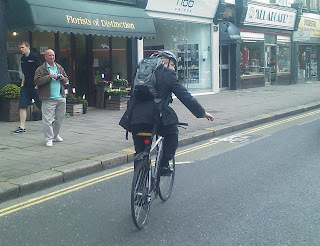 Which can’t have been pleasant. 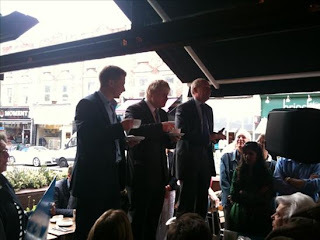 Ashford MP Damian Green was also on hand and gave a slightly less verbally dextrous speech about erosion of civil liberties while Boris and Chris had a coffee. There was some Q&A, although when the panel are on first name terms with the audience, one wonders quite how impromptu some of the questions were. There were few challenging questions, although Boris did tackle briefly the issue of funding for Crossrail. 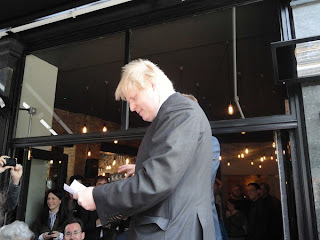 Tamsin Omond turned up, some blue cupcakes with pictures of David Cameron turned up, and slowly people began to disperse and eventually Boris too was on his way.